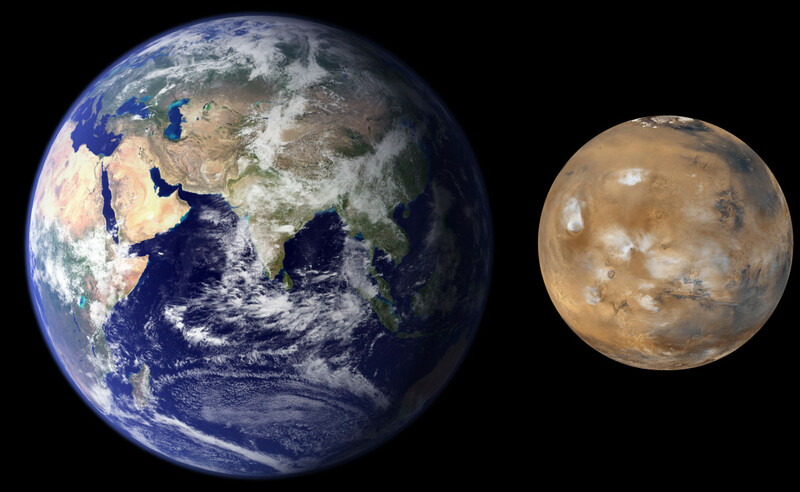 October 26, 2015 – Using a new process in planetary formation modeling, where planets grow from tiny bodies called “pebbles,” Southwest Research Institute scientists can explain why Mars is so much smaller than Earth. This same process also explains the rapid formation of the gas giants Jupiter and Saturn, as reported earlier this year. The article, “Growing the Terrestrial Planets from the Gradual Accumulation of Sub-meter Sized Objects,” is published online by PNAS. Authors H.F. Levison, K.A. Kretke, K. Walsh, and W. Bottke are all of Southwest Research Institute’s Space Science and Engineering Division. This work was supported by the NASA Solar System Exploration Research Virtual Institute (SSERVI) through institute grant number NNA14AB03A.